About 200 years ago, the terrorist organisation Templis Dragonaurs sabotaged the dome of the Gallente aquatic city of Nouvelle Rouvenor on Caldari Prime, causing the death of over half a million people. The Federation response was extremely harsh; they began with the systematic bombing of Caldari Prime, causing the death of millions... An invasion force was sent down to root out all those who would resist the Gallente warmachine. The young State response was initially slow & chaotic, but the Morning of Reason finally put the Caldari Megacorporations in one line. 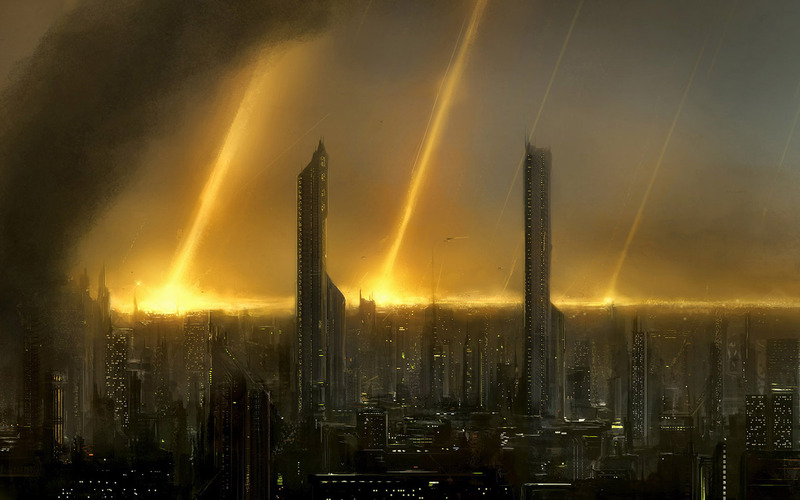 By then the situation was grim... Caldari Prime, with it's population of billions was ready to fall, and when it would, the young State would fall shortly after, as they lacked the manpower to fight the Gallente warmachine. But alas, despite countless freighters & transports shipping off people to their new homes deep into Caldari space, it would all be for naught, as the Gallente readied themselves for a massive attack, one that the Caldari had no hope to defeat... If these people could not be secured, the State's future would end there, as the State colonies lacked the manpower to oppose the Federation war fleets. And so the darkest days came... Unable to device a counter against the imminent attack from the massive Federation fleet, the Caldari grew restless & desperate... Would it all be for nothing? High Command needs more time to complete the evacuation. We shall provide. This man was Admiral Yakiya Tovil-Toba who took with him his loyal men, crewing about a dozen ships. The admiral himself commanded one of the few 'capital' ships the Navy had, a converted water-freighter, the makeshift carrier 'Kairiola'. Admiral Tovil-Toba jumped this small fleet directly into Gallente Prime orbit and wrecked havoc among the much larger Federation defense fleet. Before the Gallente could reorganize, he jumped out, and began a game of cat & mouse with the Federation military. Through his actions, where he constantly performed hit & runs on various weaker Gallente installations, the propaganda news around him reached untold heights. So much so the Federation had no choice but to stall the attack on Caldari Prime, just to chase this one small fleet. For days, they gave chase, yet failed to catch him as he antagonized the Federation military. As the week passed by, propaganda news game him names like 'the Shadow of the Moon' referring to the numerous sightings of him near the moon Floreau and 'Ghost of the stars' as he always managed to outrun the chasing Federation fleet, uncatchable as a ghost. Gallente propaganda portrayed Admiral Yakiya Tovil-Toba as an evil Caldari mastermind, leading a massive force intending to obliterate Gallente Prime & the Federation. The Federation military did little to suppress these rumours as it hid their own incompetence to catch this small fleet of loyal Caldari pilots. As the ship descended towards its doom, a garbled transmission echoed from its comms: 'Haakken kilen phr', the final words of Admiral Yakiya Tovil-Toba, an ancient Napanii expression meaning 'We will return' As this final transmission fell silent, the ship broke apart, its fragments striking the city of Hueromont, causing widespread destruction & death. And the Caldari waited... for a fleet that never came... The sacrifice of Admiral Yakiya Tovil-Toba, combined with the Gallente propaganda of him leading a massive fleet did the work for them. Afraid that this would only be the first of many suicide-crashes, the people rose up against the Ultra-Nationalist Federation government, toppling it! The resulting chaos & turmoil as a new Federation government was selected, bought the Caldari enough time to finish the evacuation of their homeworld, securing the future of the State as they now had the manpower to resist the Gallente warmachine... Only small groups were left behind, those unwilling to abandon their ancestral grounds for an uncertain future, they would turn to be the guardians of Caldari artefacts & culture when the Gallente Federation finally moved in to occupy the planet, finding little resistance now. The heroic act of Admiral Yakiya Tovil-Toba and his men to fight a vastly superior force to buy time for the State at the cost of their own lives placed them firmly in State's history. 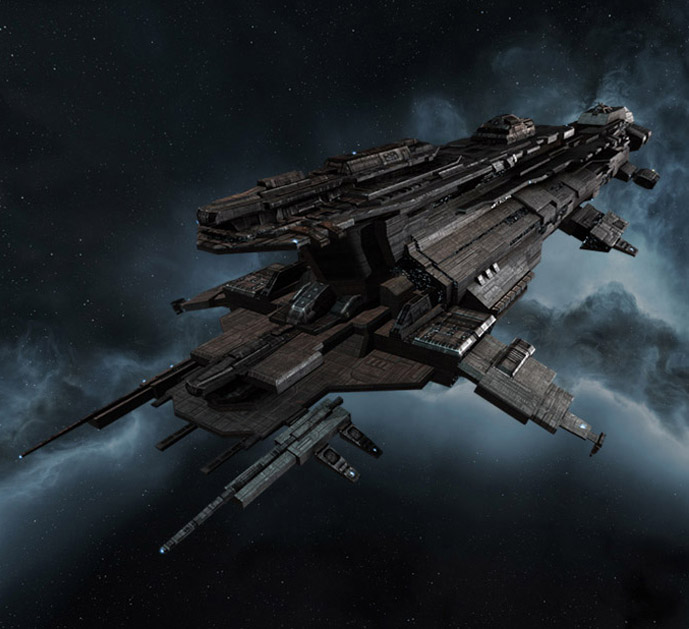 Their actions & names would be the first thing every Caldari learns about the State's history, for without Admiral Tovil-Toba and his men, there would be no State either! To this day, Amiral Yakiya Tovil-Toba is honored as the greatest hero the State has ever known. In their honor, the Chimera carrier was designed, it's shape resembling the makeshift carrier that the legendary Admiral commanded, the 'Kairiola'. Wherever the Chimera appeared, the Caldari would remember the resilience & determination of these men against impossible odds, and do their best to uphold these values themselves, in honor of those who did before them. But the Caldari have not forgotten those who died in the bombings & destruction either. Every year, on the 2nd of January, a gathering is held at the Caldari Prime Memorial in space, to remember those who lost their lives following the orbital bombardment & attack on Caldari Prime by the Gallente Federation. And as closing note, the Caldari have honored Admiral Yakiya Tovil-Toba's last words 'We will return!'. In YC109, under the command of State Executor Tibur Heth, the Caldari reclaimed their homeworld. The counter-attack a few years later failed to displace the State fully from Caldari Prime. This fight became known as the Battle for Caldari Prime. After this fight, Ishukone initiated negotiations with the Gallente Federation in order to secure the planet under Caldari rule. Thanks to Ishukone's efforts, all the major cities are now returned to the Caldari!